The Abu Dhabi Securities Exchange’s (ADX) general index grew 20.73 points, or 0.42%, to close at 4,906.87 points on Thursday, pushed up the energy, banks, and real estate sectors. 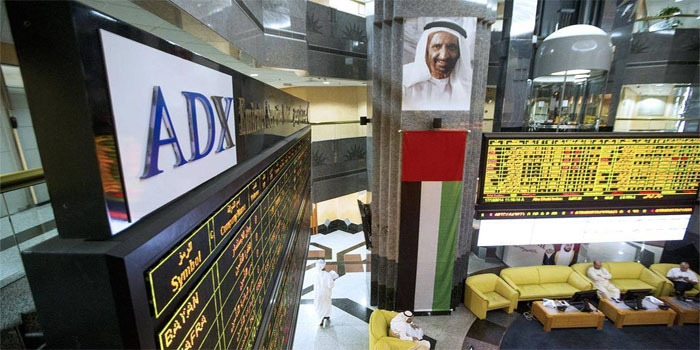 The ADX’s trading volume reached 37.04 million shares, while the market’s liquidity amounted to AED 163.693 million. The energy sector added 1.98%, as Taqa soared 6.19%. The banks sector also increased by 0.61% after First Abu Dhabi Bank (FAB) gained 0.71%. The real estate sector went up 0.28%, as Aldar Properties rose 0.52%. On the other hand, the investment sector levelled down 1.49%, as Waha Capital declined 1.62%. FAB led the DFM in terms of liquidity, with a turnover of AED 101.27 million, while RAK Properties topped the market in terms of volume, with 8.52 million traded shares.